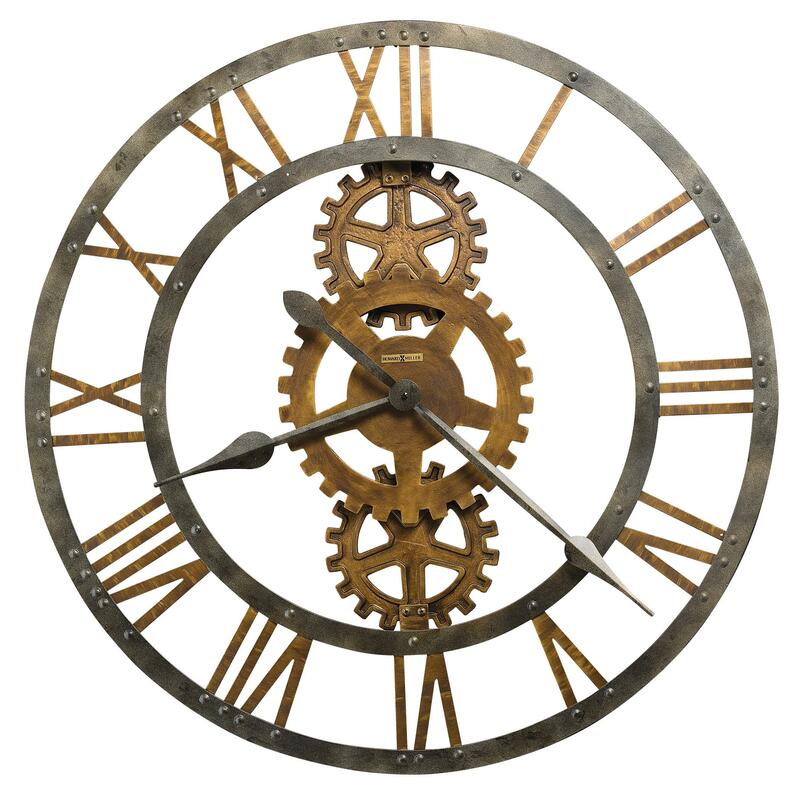 Industrial gears and a gray-finished metal frame make this clock a chic addition to your industrial-modern loft. Requiring one AA battery, this wall clock is an easy and decorative addition for your home. The Wall Clocks Crosby Metal Wall Clock by Howard Miller at HomeWorld Furniture in the Hawaii, Oahu, Hilo, Kona, Maui area. Product availability may vary. Contact us for the most current availability on this product. The Wall Clocks collection is a great option if you are looking for furniture in the Hawaii, Oahu, Hilo, Kona, Maui area. Browse other items in the Wall Clocks collection from HomeWorld Furniture in the Hawaii, Oahu, Hilo, Kona, Maui area.